This only presents the developer with two options, though, which I find severely lacking. Option 1 works if the code you want to debug can be exercised by a web browser, which is fine if you're debugging a view, but what about a management command? What about an asynchronous task? Option 2 works if you're willing to run your test suite in order to debug some logic, and it pre-supposes that you've written a test that exercises that logic. But, if you're not a subscriber to TDD (and many aren't), and you need to debug some code that is still under development, but clearly not functioning, this as also suboptimal. Given these two options, I usually defer to a less than optimal method of running code in a Django wrapped Python shell. At least I can simply import the code I'm debugging and execute it directly, at the cost of losing variable watchers, etc. It would really be nice to have both of these things, wouldn't it? 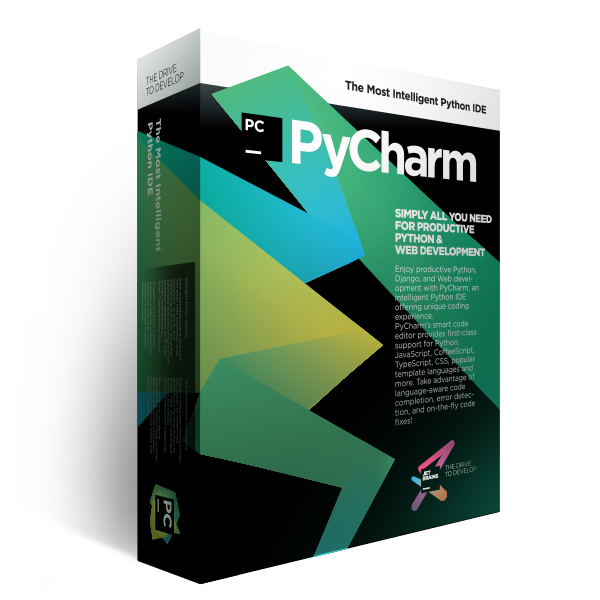 It turns out there's a trivial way to accomplish this, that might not be obvious to Django developers who stop at the built-in PyCharm tooling for Django projects, by using a vanilla Python configuration. I name this configuration "Django Shell". And that's it! 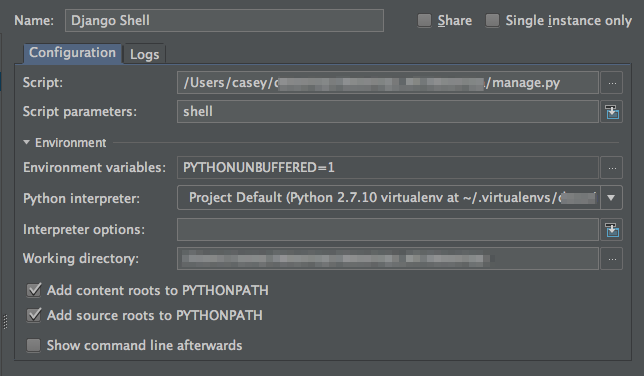 Now you can run debug using the Django Shell configuration. Set some breakpoints, import your code and get straight to debugging super fast!